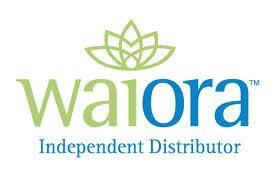 The liquid zeolite we carry is the Natural Cellular Defense (NCD) from WAIORA. Purchase this product now and earn 5,080 Reward Points! Every day, we are exposed to an assortment of toxins, chemicals and pollutants. Our first line of defense is our immune system. Most of the time it kicks in, but the accumulation of these substances in our bodies coupled with stress, age, poor nutrition, lack of sleep, and other factors can lower our immune system’s function and make us vulnerable. 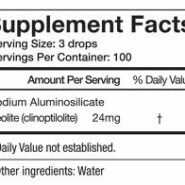 What’s a Zeolite & How Does It Work? 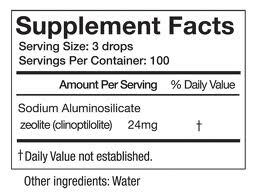 For centuries, the powdered forms of specific zeolites have been used as traditional remedies throughout Asia to promote overall health and well being. The story of the “volcanic rocks” has been passed down from generation-to-generation as more and more people have experienced its life-changing benefits. Zeolites are natural volcanic minerals with an unique, complex crystalline structure. It’s honeycomb framework of cavities and channels (like cages) works at the cellular level trapping, heavy metals and toxins. In fact, because it is one of the few negatively charged minerals in nature, zeolites act as magnets drawing toxins to it, capturing them in its cage and removing them from the body.